February is a short month, but it is jammed packed with holidays and great themes! While it is easy to have students complete a typical Venn diagram comparison of President Washington and Lincoln, spice up your activities for President’s Day by having your students create a set of a class set of trading cards with little known facts for these two people so important to our history. Trading cards are also a great way to highlight heroes for Black History Month. Another idea for showcasing less well-known heroes is to have students design a commemorative coin along with a presentation explaining the choice of design elements. 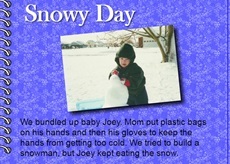 January saw the epic snowstorm of the East Coast and I loved seeing messages in my Twitter #wixie stream telling students they could still find assignments in Wixie at home. I also spoke with a customer who decided to create her own template for students to record their activities during their “Snowy Days.” Even if students didn't have a recent experience, this would make a great response activity for The Snowy Day by Ezra Jack Keats. 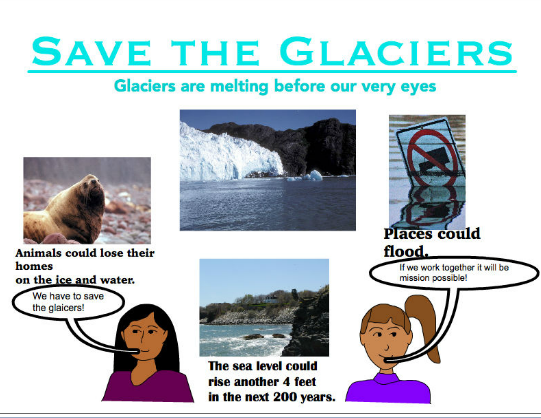 • explain how human activity impacts the health of the ocean (infographics). This is also a great opportunity for students to create Public Service Announcements that inform the public or persuade them to change behavior. February is also Endangered Animals Month. If students are near a zoo or have the ability to interview a zookeeper about an endangered animal, have them share their interview in an article, recreate the interview as if they had spoken to the animal, or use the information to create a trifold brochure for the person they interviewed to share. Move beyond the standard "about" poster to a presentation with an action plan showing real steps that can be taken to move the animals off the endangered list! Also, it’s Leap Year! After learning why we have an extra day once every four years, ask students to create their own theme for this day that occurs once every four years. What should we be thinking about, celebrating, changing? Ask students to use Wixie to create and spread their own Leap Year meme. Don’t forget to check the Tech4learning Trading Post for templates in Wixie, Pixie and Share. You can share your own templates there as well.